In my younger days, I'm always doubting myself in whatever I do. Is it right? Is it wrong? What would people say/think about me if I'm doing this? What should I do to make others feel happy? Tons of doubting questions like this going on in my mind, confused myself and of course, things doesn't go well. But you know, good life story always start with something awful, just like all those you've heard from history and so, and that's what makes me the ME I am, and yours makes you! What inspired Estēe Lauder to launch Modern Muse Chic then? It is the "Be Inspired. Be Bold" kind of attitude that Estēe Lauder want the lady that uses Modern Muse Chic to own. In current judgemental world, it is extremely hard to be yourself. What reminds me of being myself these days? The scent of Modern Muse Chic! 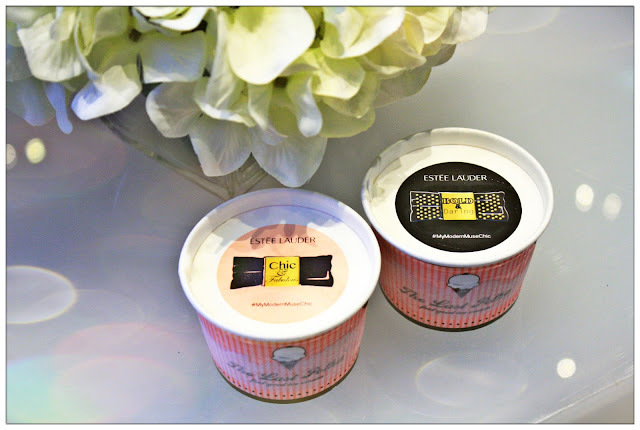 Thank you Estēe Lauder and Butterfly Malaysia, I was among of the few bloggers that got invited to Modern Muse Chic private sharing session where we get up-close and personal with the perfume and discover another side of ourselves. The unique scent of Modern Muse Chic isn't the "Love at first smell" kind but day by day after using, it started to grow on me and now I guess the scent is becoming part of me that I wanted to show to the world. 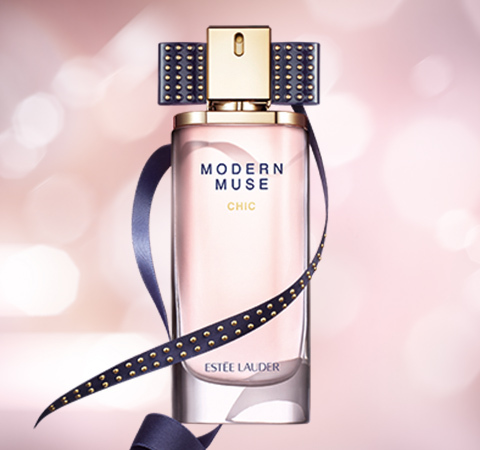 A special combination of sparkling florals and smooth woods, Modern Muse Chic shows its unique and independent fragrance on each individual, differently. Its rich and complex notes totally compliments a bold, modern urban chic lifestyle lady which is like you and me. Notes made of floral accord, ebony woods accord, Jasmine Sambac China Absolute, Tuberose, Suede Musk and Patchouli, its striking scent kinda represents my personality - daring, adventurous and bold. One amusing fact is that not everyone get the same scent. As mine appears to a more woody scent, Arisa and Shivani ones appear to be more Jasmine, floral type of scent. Isn't it interesting? I guess Modern Muse Chic kinda reveals the inner me to the world through its complexity of scent. 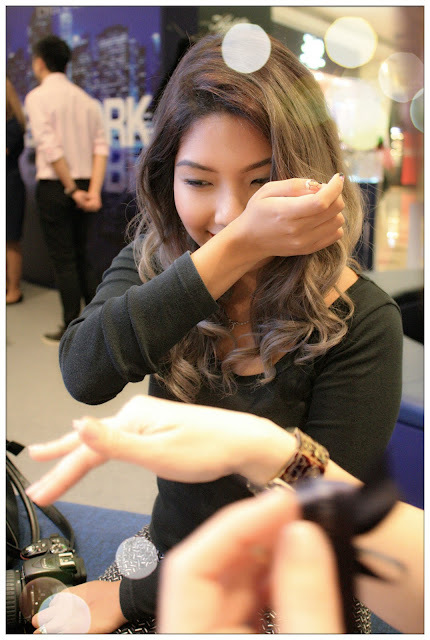 Aside of smelling great that night, me and the fellow bloggers get to enjoy a makeover at the Esteēe Lauder counter to become one true blue Modern Muse Chic! Then had tons of fun at photobooth! How's this Modern Muse Chic for ya! 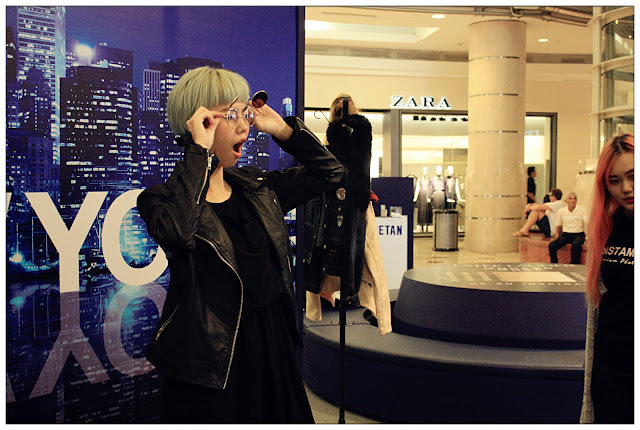 Gone crazy in front of photobooth trying out all the props and style they've prepared for us. Still like leather jacket rocker style best! It was a fun night for us girls trying out different styles and be ourselves at the same time. I guess we're all more comfortable that night laughing chilling at the lounge area due to the "aromatherapy" of Modern Muse Chic scent! 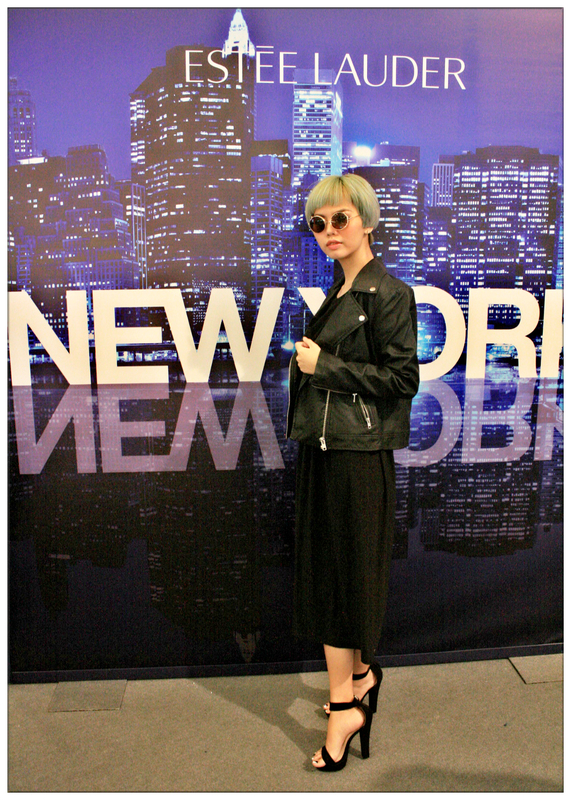 It definitely bring out the bold and daring side of us in front of photobooth that night! Hahahaha. Of course, girls can't live without ice cream! Eat like nobody's watching! Now that's daring. 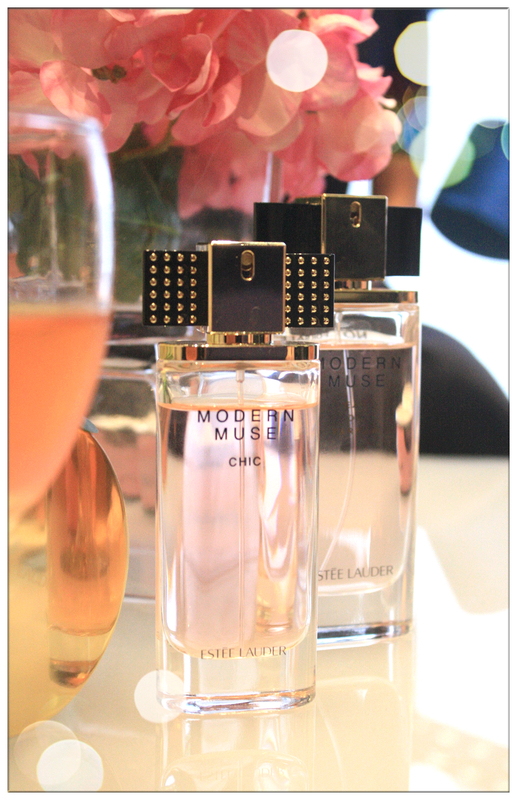 Drop by at Estēe Lauder counter and find out which scent you got when you try on Modern Muse Chic. I've grow fonder towards the smooth woody scent of mine, it represents my feelings my mood. Find out yours today!